1.no electricity how to do ? 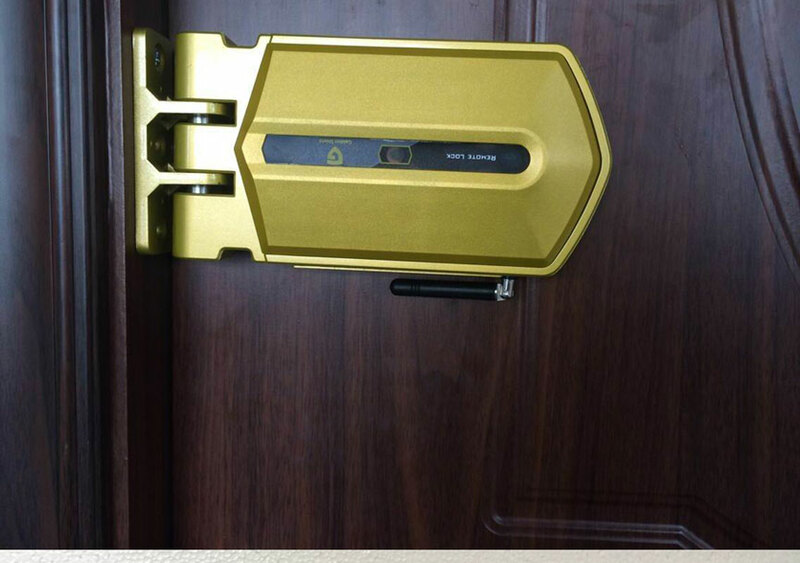 Our door is equipped with intelligent battery management. We recommend alkaline batteries with high energy battery , according to frequency of about 6-8 months for a battery ! 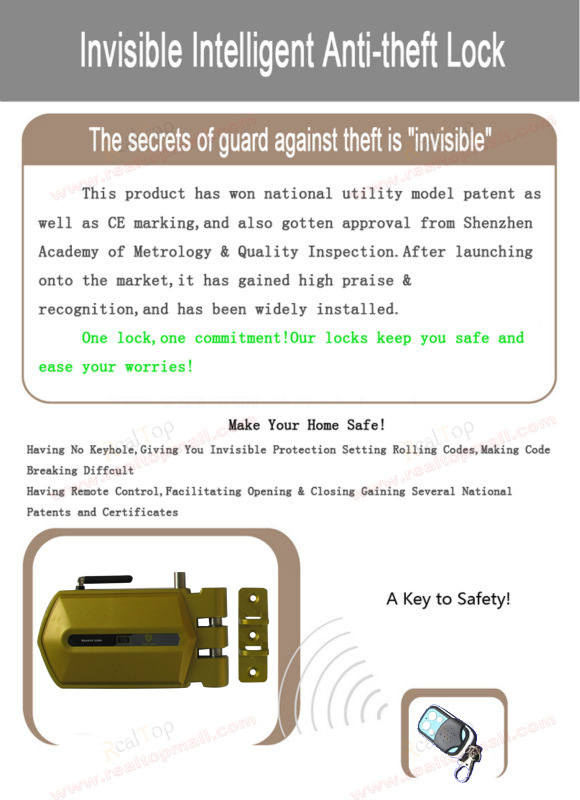 (1) When the battery is low, the lock will be audible and visual alarm , prompting the user to replace the battery, but can also be used normally for about a month . (2) When the battery level continues to drop , lock audible alarm and automatically shut off the power function prompts the user to replace the battery immediately . 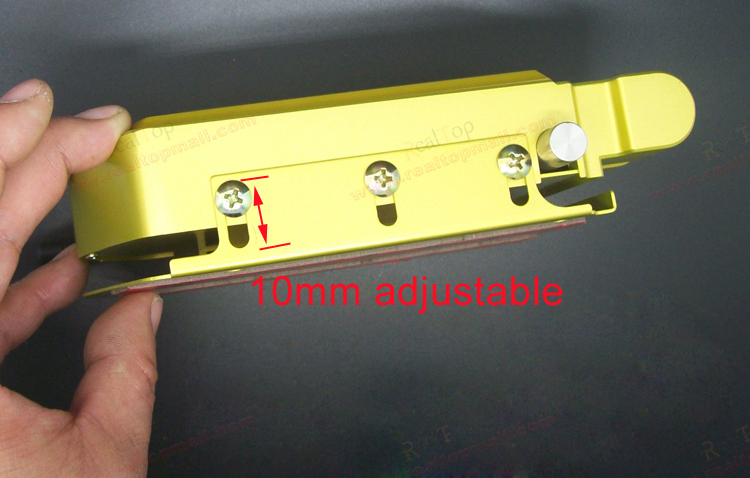 (3) When the battery is below the set minimum operating power door locks , door opens automatically. 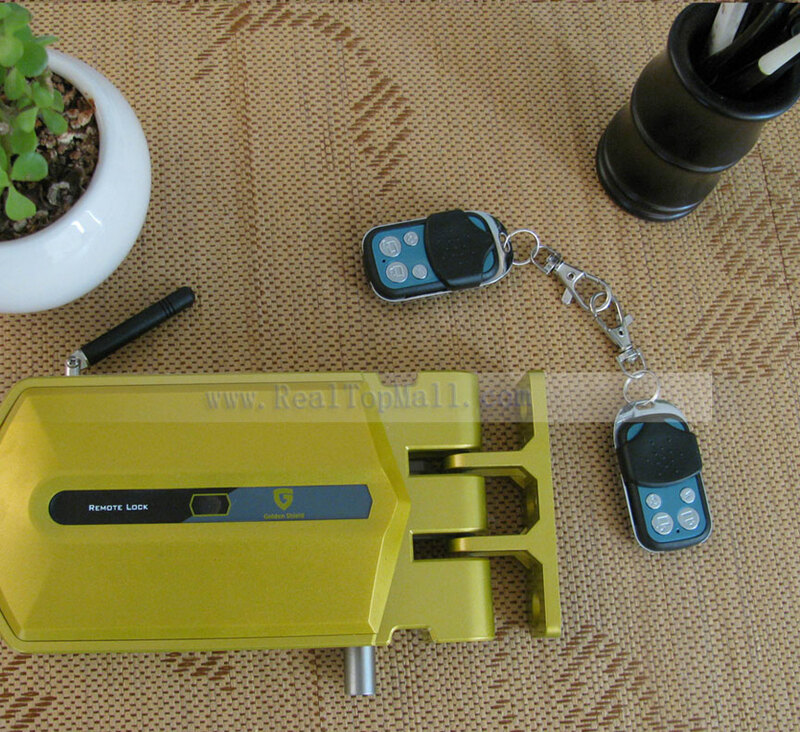 This dedicated function is to prevent the user for a long time and when the battery runs out , the remote user can not open the door from happening . 2.remote control lost how to do ? 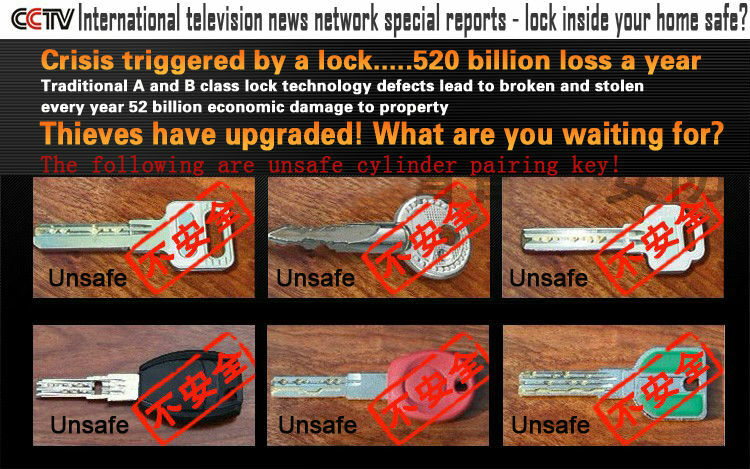 When customers buy a lock with more than a few will be put , it is recommended that all family members in the office or spare them , to prevent loss . 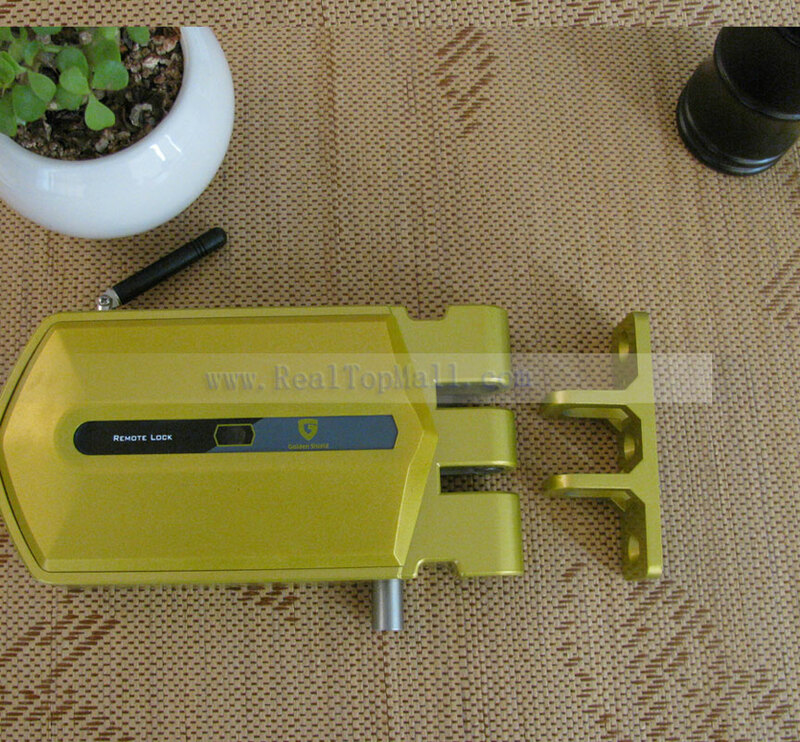 If you lose it all without careful, this section has the lock and the lock itself again with the remote control code function , just put together the rest of the remote control , refer to the manual process of completing a re-allocation code , lost the remote control to lose the role ! Also, if the remote control is not enough, you can also use this approach to increase again with the code ! Very simple and practical ! 3.The circuit is broken how to do? In the back there is an emergency lock open keyhole , with a small screwdriver or other hard columnar shut by the direction to go in the direction of continuous slide lock to open the door. Need emergency lock open keyhole back half of the positions reserved for holes in the security door at the time of installation and lock the door for their own good sign recognizable . In case of failure in the lock when the door needs to sign this emergency drill hole to open the emergency keyhole open , complete the emergency release will not cause damage to the security door ! 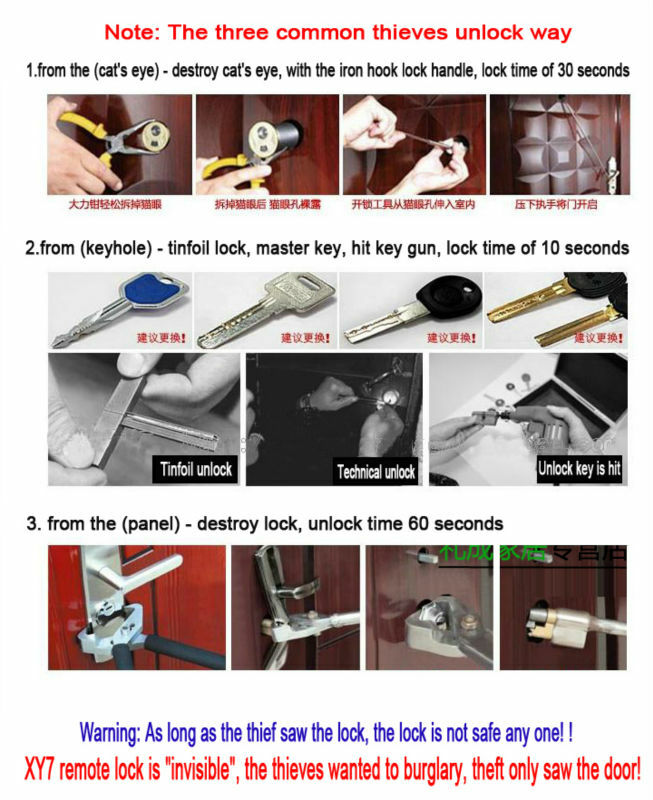 The traditional mechanical locks, electronic locks , lock, password lock , IC card lock the door , there will be a corresponding door keyhole or identification equipment , easy to implement thieves destroyed the lock biggest feature is no keyhole design , completely abandon the traditional the key lock on and off with the remote control is fully realized , no lock, unlock even if the thieves have high technology, but also unable to start , the real burglar . 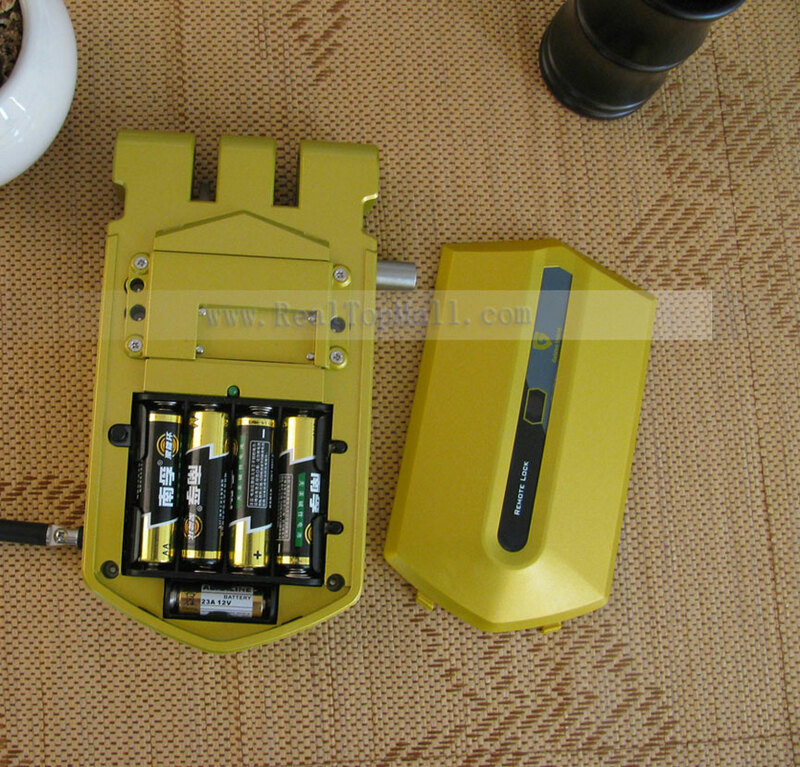 Battery replacement reminder : When the battery using a long time, the battery voltage is lower than normal after 2.5V , LED light will flicker , the buzzer alarm will sound to alert the user to replace the battery . 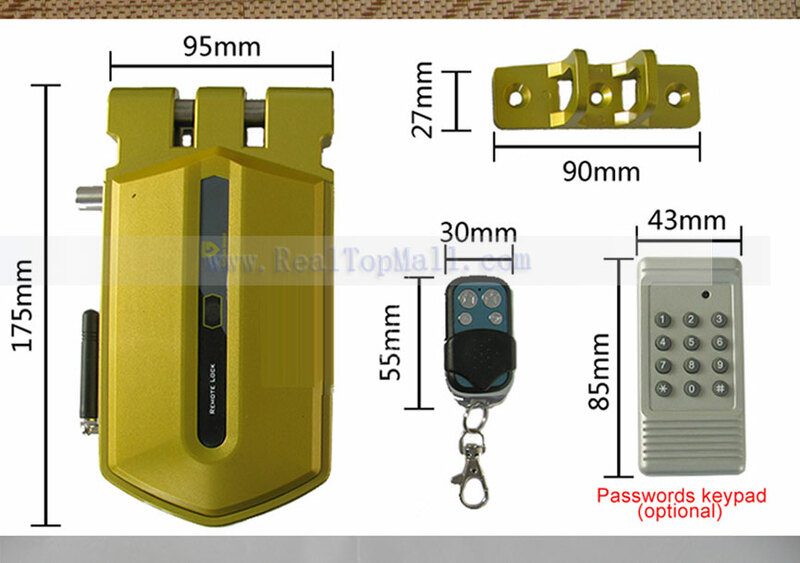 The remote centralized management features: remote locking remote control as long as the participation of each of the multiple sets of the same configuration when the remote lock with code , you can open multiple sets of remote lock , is that users have more housing units only need a remote control to participate in open sets with remote lock code . 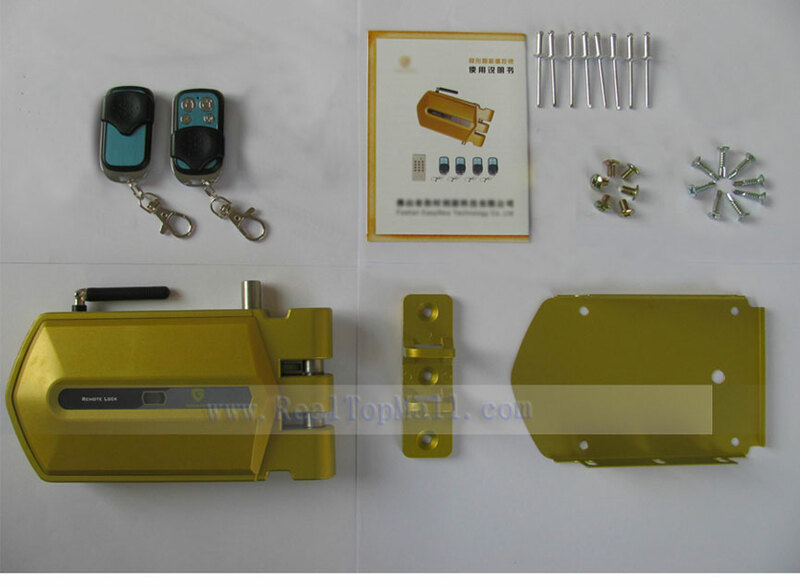 (1)With code function : the traditional door key , when the user does not accidentally lost or theft , it is easy to use to open the door of thieves , user behavior to prevent theft locks had to be replaced , and our remote lock in the design for the user to completely solve this problem , just need to focus on other remote control and remote lock re- configured by the user of the code , the missing remote control key will expire and can not open remote lock , remote lock without replacement . 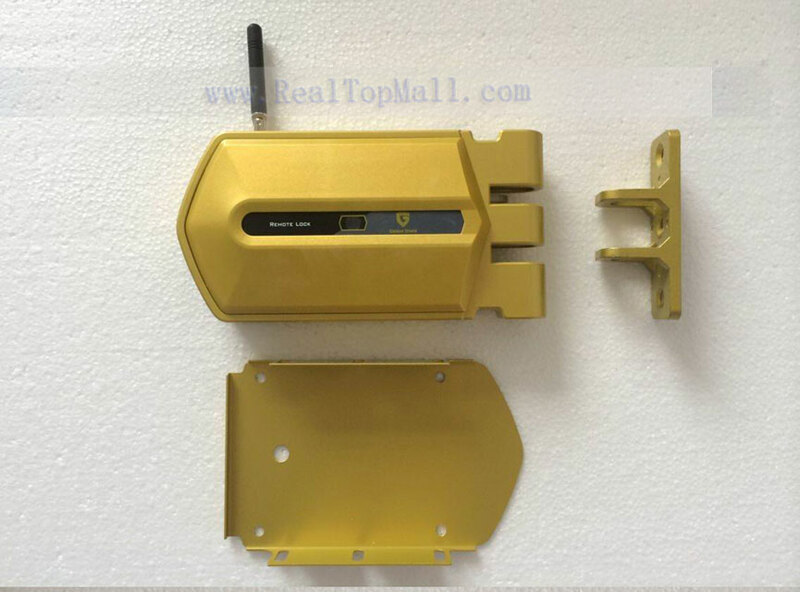 (2)One Cast : Tigers snap lock design uses the structure , one of the lock body with zinc alloy casting , put pry performance, more secure and reliable. (3)Emergency ON: When confronted with an emergency situation ( such as fires, earthquakes , etc. ) 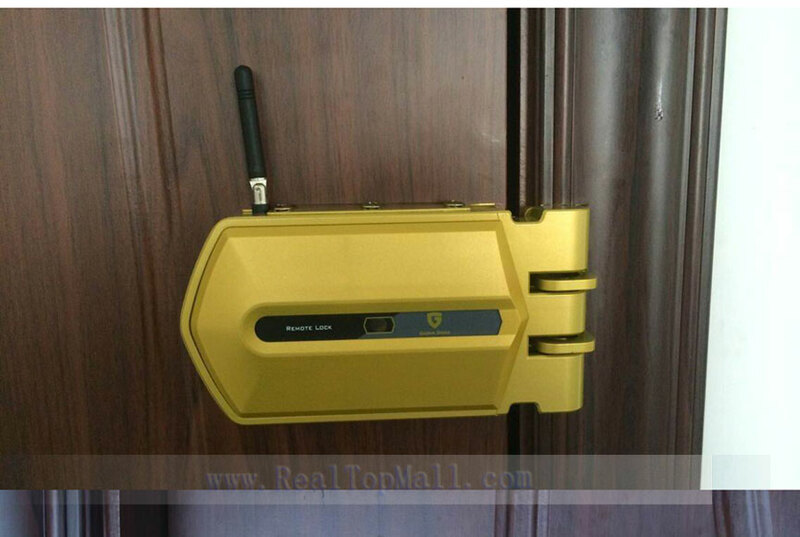 , do not use the remote control to open the lock , just need to press the emergency hand turned off , locks will automatically open , easy emergency exit , to ensure safety. 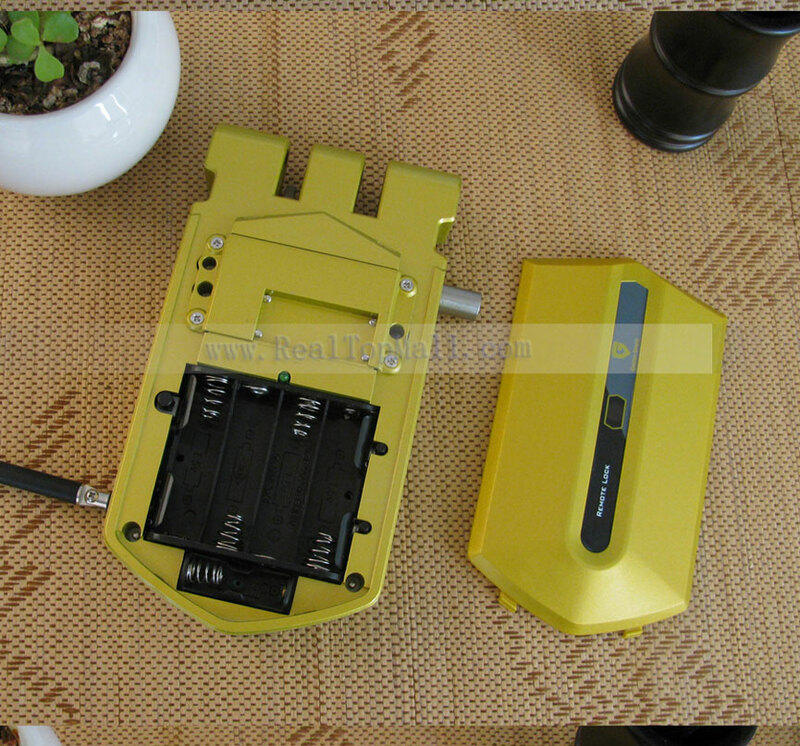 (4)Rolling code : security performance is the use of remote lock 315HZ frequency rolling code transmission work through RF radio waves, a remote control transmitter 60 encoded data , every change is not repeated , and more secure .